Up to six changes for Australia's Test team at Adelaide - who's in? “I’m sick of saying it. 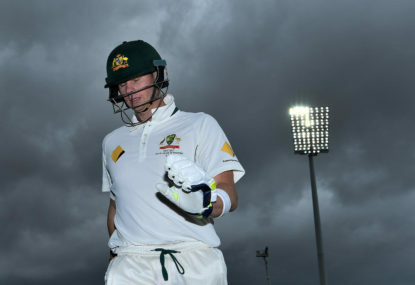 It’s not good enough.” This was a different Steve Smith after Australia’s smashing at Hobart. No more of the measured and reasonable talk about playing roles, executing skills, learning more and getting better, striving to improve. He had been let down, stranded out in the middle for the best part of two pathetic innings, and he’d had enough. There’s not a lot of grey area there. Changes will be made to the Australian Test team before the day-night contest in Adelaide. That’s no surprise. If last year is any guide, the Adelaide Oval deck will offer seam and swing, with a bit of extra grass left on the pitch and the square to preserve the pink ball, and the little-known meteorological conditions of a near-summer night. South Africa’s bowlers have shown how dangerous they are with such assistance. Then will come the seamers of Pakistan in another day-nighter at the Gabba, and if those contests bring more Australian collapses, you don’t like their chances of dragging anything out of the fire come Boxing Day or New Year. Let’s be clear: recent results are disastrous for the team. Five Test losses on the bounce, the first two of the home summer lost for the first time since 1988. In Hobart, of Australia’s 22 individual innings, five reached double figures. Smith himself has fought hard while getting little support. David Warner was on a brilliant ODI run in Sri Lanka and South Africa, and has done enough here. Usman Khawaja too, after second-innings resistance in Hobart and Perth. Mitchell Starc can’t be questioned, he’s too fast and too dangerous, while Josh Hazlewood is his preferred bowling partner, and came good with six wickets in the only bowling innings in Tasmania. So five spots are locked in. The other six are up for grabs. Let’s run through the places in question. 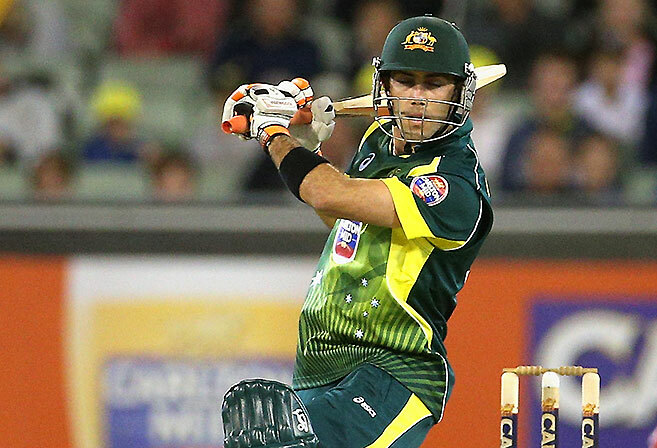 Australia needs a second opening batsman to partner Warner. 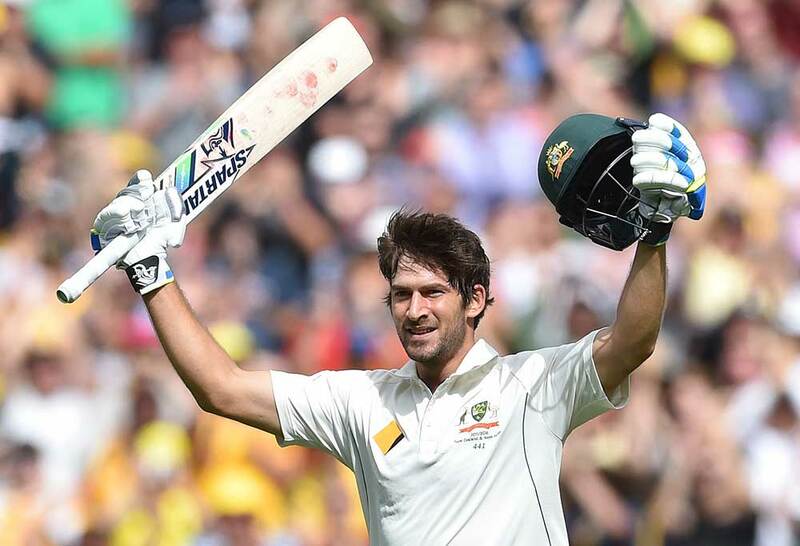 Burns was dropped during a hapless tour of Sri Lanka, Shaun Marsh got two picks, made a century and broke a finger. Burns was brought back and made 1 and 0. While it would be tough to drop him again after one Test, he was totally unconvincing in Hobart. Perhaps his confidence is unsteady after being dropped, which is understandable, but the team needs resilience and results right now. A lot will come down to the current Shield round, as there are several candidates. Cameron Bancroft has been talked about for over a year, and made the squad for the aborted Bangladesh tour in 2015. He’s also done well for Australia A in India, which might bring more interest with Tests starting there in February. But he hasn’t made a run of late. Matt Renshaw is a young gun who debuted for Queensland at 18 and topped their run scoring last season. He’s coming back from injury in the Shield this week, so may be unlikely. Then there’s the perennially mentioned Nic Maddinson, who is discussed every day of every season without getting close enough to crack the squad. Or, if Darren Lehmann wasn’t coach, momentum for a #RealOpeners return for the unsung hero of batting time, Ed Cowan. Offer me Burns versus Cowan on this week’s Bellerive pitch and you know who I’m picking. The middle order is borked, let’s be honest. Last year, Voges smashed the West Indies around Bellerive to the tune of 269 unbeaten runs, the fastest score of such magnitude made by anyone bar Virender Sehwag. This year, he made 0 and 2, and may end up one of the few players to be punted from Test cricket with a batting average in the 60s. He’s bereft of confidence, swaying at the crease like a Jenga tower late into the contest. As for Ferguson, it may be harsh to go after one Test match, and he’s an Adelaide Oval native who knows the ground. As such, he’s a good chance to be retained. But he also made scores of 3 and 1, ran himself out in a ridiculous brain fade, then panicked when he couldn’t decide what shot he was playing second time around. There are plenty of one-Test players out there, and his story could go that way. Who might come in? There’s always the option of older players, who could do a job a la Chris Rogers or early Voges to fill a gap. The evergreen Michael Klinger perhaps, or Cameron White who has started the season well. George Bailey also gave a job interview on Nine’s Cricket Show this Test, saying that he’s reinvented his red-ball game to good effect, which is borne out by his 259 runs in two games this season to sit second on the scoring list. Of the younger brigade, Peter Hanscomb is a name we’ve heard a lot, a classy player who can also double as a wicketkeeper. He made the ODI squad in England last year, and is a noted player of spin who could be a forward investment for India. Another is Kurtis Patterson, who’s already made a ton and is third on the runs list this year. Jake Lehmann has been mentioned, which would be awkward given his dad is the national coach. Darren has already said he’ll excuse himself from any selection meetings if that name comes up, and that he’ll spend any of Jake’s innings getting on the piss in the bar instead of his usual habit of getting on the piss in the dressing room. Or – dare I say it? Glenn Maxwell? The excitement machine of Australian cricket? A guy with a surprisingly good red-ball record, an average in the 40s, and a score of 81 from his single knock this season? A quick innings from Maxwell could be the difference in a low-scoring day-night Test, and his fielding could easily save 20 runs an innings. Bit of handy bowling completes the package. Go on, get mad. I dare you. Good keeper, hasn’t made any runs. Simple as that. There’s no confidence when he comes in to bat that anything will change, even if his first-class record is solid. Matthew Wade is the closest alternative. I’ll be honest: swap Nevill’s keeping for Wade’s, and you’re swapping a delicious deli sandwich for a ball of kebal foil from a bin. Wade drops catches like rappers drop mix-tapes. But he’s more likely to stop a collapse. It leaves you in that terrible dilemma that Wade will almost certainly miss a chance or two in a match, but those may not end up costing. It’s a dice roll, but at this stage selectors might be spooked enough to take the odds. Nice kid, good bowler, and definitely the wrong pick at Hobart given that Jackson Bird has played so much at the venue, and is exactly the kind of nibbling seam bowler that wrought havoc during this Test. Vernon Philander wasn’t leaving the 120kph range when he demolished the Aussies, but it didn’t make a difference. Mennie just didn’t look threatening in his first game. Again, you could say that he’d be unlucky to miss out so soon, and he’s another South Australian local. But so is Chadd Sayers, who is topping the Shield tally. Or Bird will still be an option. In the shake up, Mennie may be collateral damage. Australia’s most prolific off-spinner, and he’s spent so much of his career in a position of uncertainty that it’s horrible to see him back there. But his confidence is down after a tough Sri Lankan tour and being consistently overlooked for the ODI team. Lyon has barely threatened this series, and Quinton de Kock whacked him around with contempt down here in Tassie. Maybe a break would allow him to reset and get his venom back. Steve O’Keefe is the obvious option, as long as he doesn’t have any prior engagements drunkenly yelling at furniture in pubs. A line-up with Maxwell at six, Wade at seven and O’Keefe at eight would substantially strengthen the batting and give two spin options. Worth a thought. Or there’s a raft of leg-spinners, none of whom has demanded consideration via performance lately: Adam Zampa, Mitch Swepson, Fawad Ahmed, Cameron Boyce. With Australia needing some threat, that style of bowling may be preferred. Or, if the Adelaide pitch looks green as we expect, perhaps four quicks will be the way forward. No doubt there are a hundred players I haven’t mentioned – throw in the names on the thread below. Shaun Marsh is injured but Geoff Marsh could fill in? One could argue it wouldn’t hurt.